Whatever profession you take, be a devoted person, a task done heartlessly will probably have no spark & no charm, be classy in whatsoever you do, so that people would look up to you as inspiration. In this big world where millions of people are trying hard to accomplish their goals, only few come to the surface and make their recognition possible. The same goes with the world of internet where there is plethora of blogs and websites fighting against each other, playing the role of strong competitors, & are putting strong foot forward to be in the concerns of people. Now a new blogger has to do an extra job to keep his blog upfront with the latest trend. A blog has to be different, unique, appealing and elegant enough to be viewed by people. According to this context, responsive theme is a mandatory thing for the blog; your blog should have a complimenting layout to give a fresh feel to the onlookers. If you are motivated to uplift your blog & are really fervent to make it surge above all the other blogs then you deadly need to contemplate over today’s post which is all about 25 best Magazine Responsive WordPress Themes from mythemeshop. 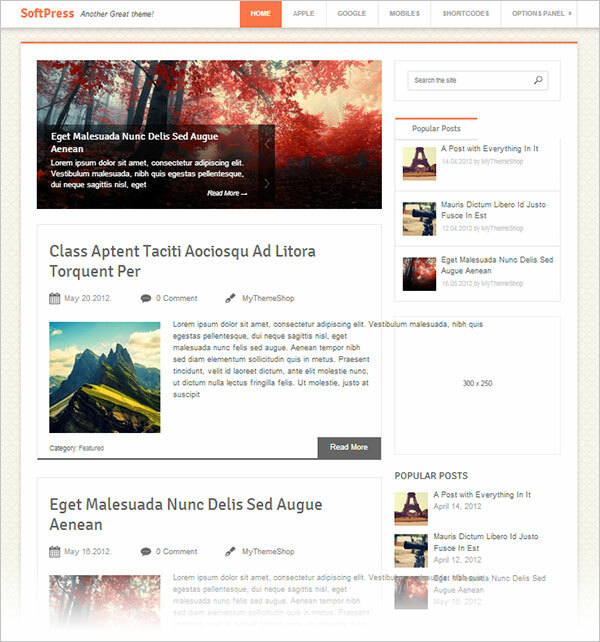 The whole world’s greatest & well-known bloggers have recommended these premium magazine themes and not only this; they have used these themes already in their top rated blogs. It has now become the trend to live up to the demands of the time so switch your blog themes into Responsive WordPress themes. Get ready to jazz up your blogs by trying out any of these Premium Magazine Responsive Themes because it is the condition of the on-going time. These themes have some really fabulously exciting, new, extravagant & premium features to offer. Have a look! Monospace is the latest responsive WordPress theme with a beautiful design and a lot of fancy features. 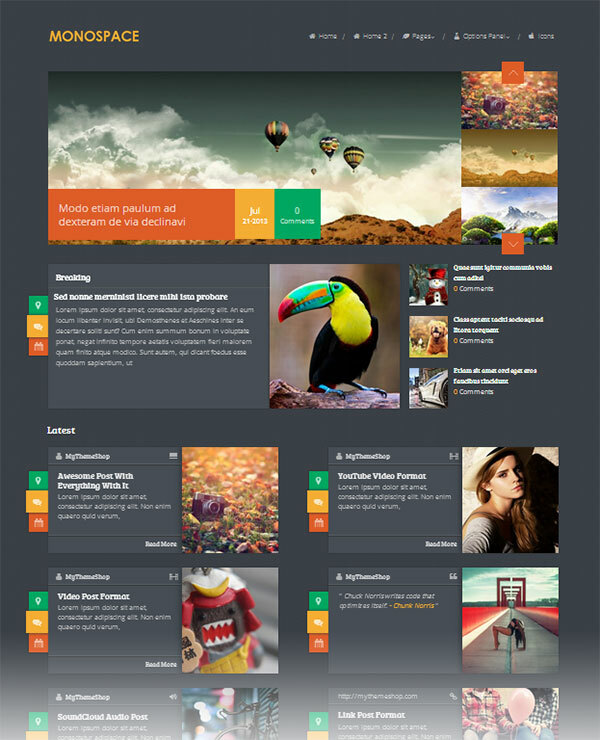 It is multipurpose WordPress theme and the best one so far for the year 2014. 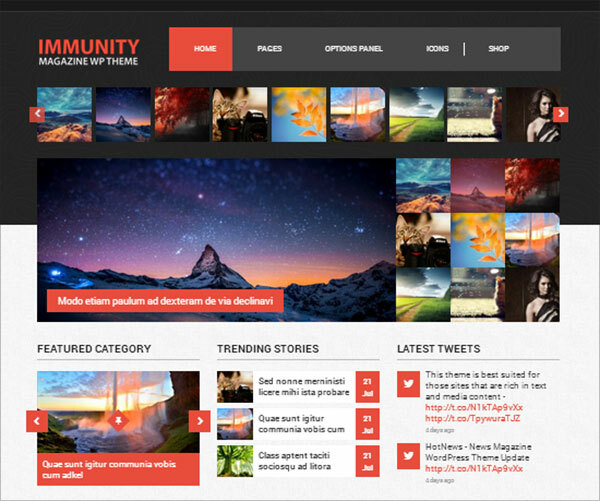 Immunity is one of the best Multipurpose Responsive WordPress theme that has a beautiful magazine style layout. It also has post formats, Custom Widgets, ShortCode, WooCommerce integration and a lot of premium features. 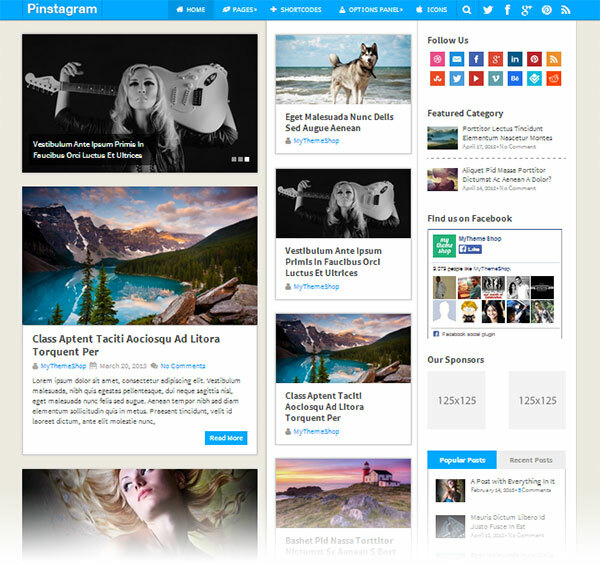 Pinstagram is a Pinterest theme based responsive WordPress theme that has a grid layout with multiple post sizes and long list of posts. Pinstagram is perfect for both content and media bloggers. Clock is one of the best selling woocommerce wordpress theme of mythemeshop. 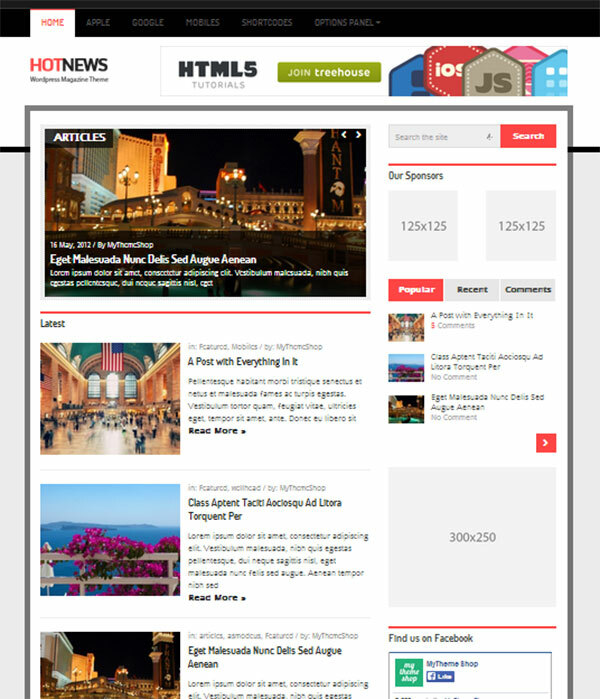 It has a news magazine style layout with great contrast and interactive features. 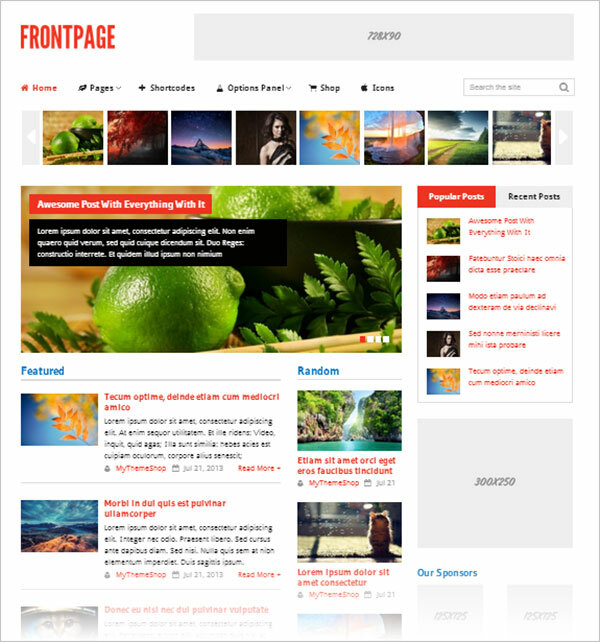 Frontpage has a Woocommerce-ready platform with absolutely easy to use responsive layout which can also be adaptable as a store, magazine or blog. Front page has 6 different homepage & 3 different single post layouts. Repose wordpress theme is new in the market with its unique and flexible, multi-format WooCommerce ready setup which is perfect for blogs, businesses, news portals and shops. 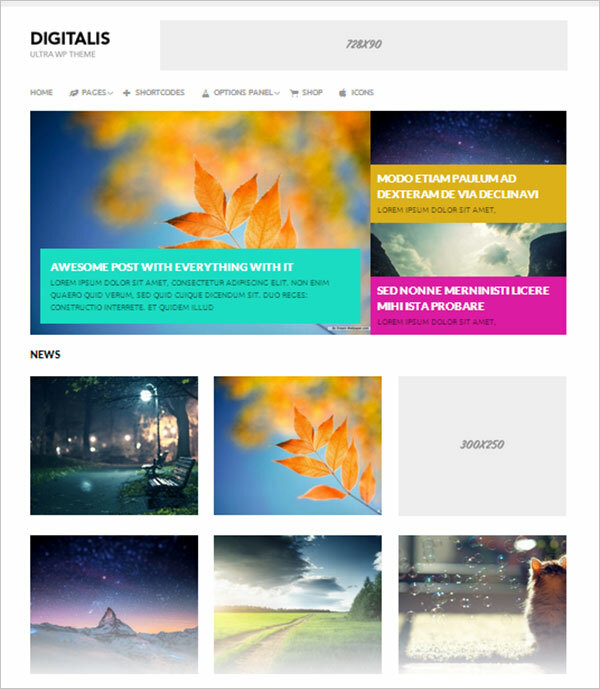 Glamour is an amazingly glamours simple sleek premium WordPress theme. It has a beautiful easy to load design, which is customizable for any niche blog or website. 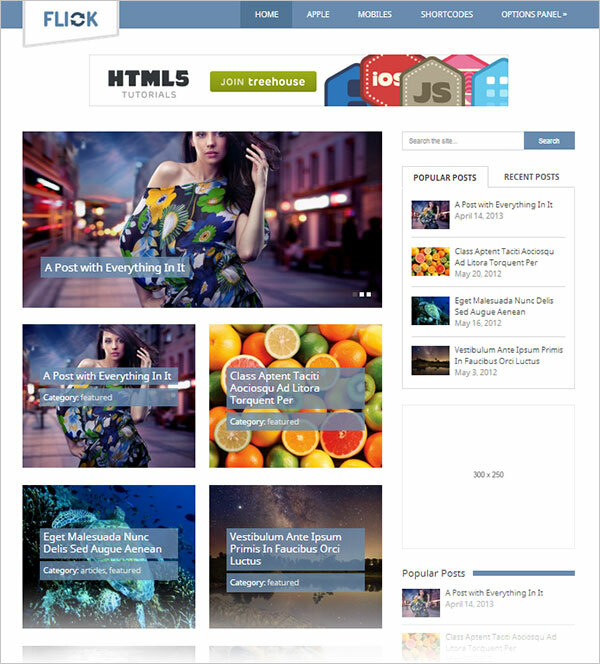 HotNews wordpress theme has a magazine layout with beautiful smooth homepage slider to showcase your portfolio or latest posts. 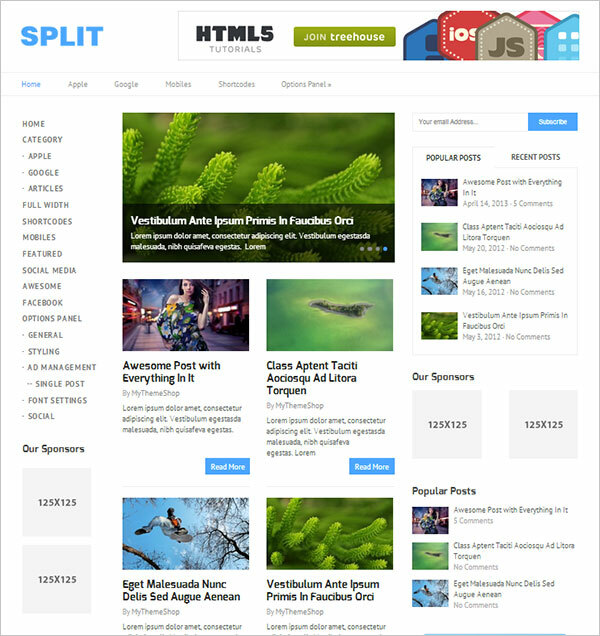 Split is a clean white premium wordpress theme. It has got a variety of premium functions. It includes dual sidebar and dual post layout on the main page. Flick is a portfolio based premium magazine WordPress theme perfect for photographers and designers that can easily showcase their work. It can also be used for iPhone or desktop wallpaper blog. 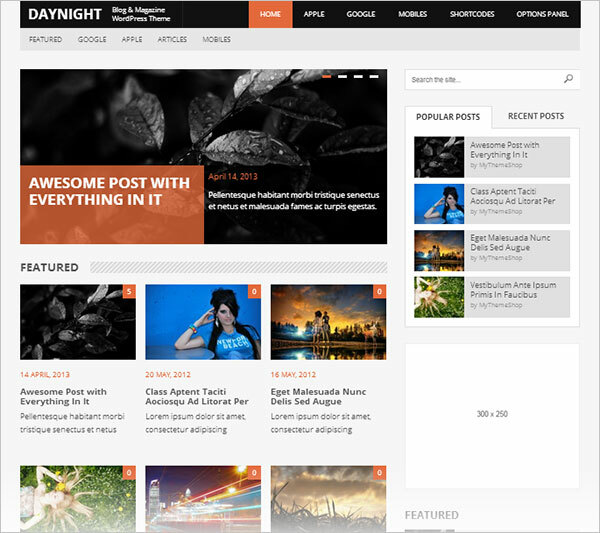 DayNight is also one of the most selling and used by so many bloggers. It has a sleek layout contrasted WordPress theme fully responsive, with multiple post displays, tons of fancy features as well as premium support like others. 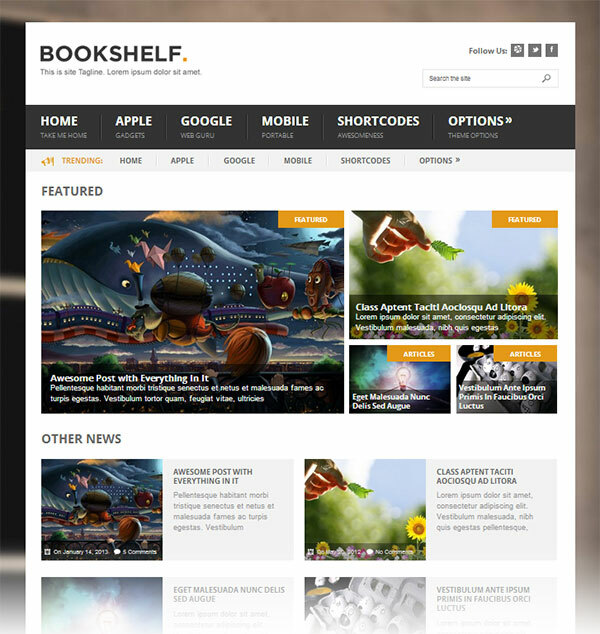 BookShelf is the best multipurpose WordPress blog theme so far. It can be used as a personal blog or professional magazine. Only serious bloggers should go for it & it has been highly recommended by many. 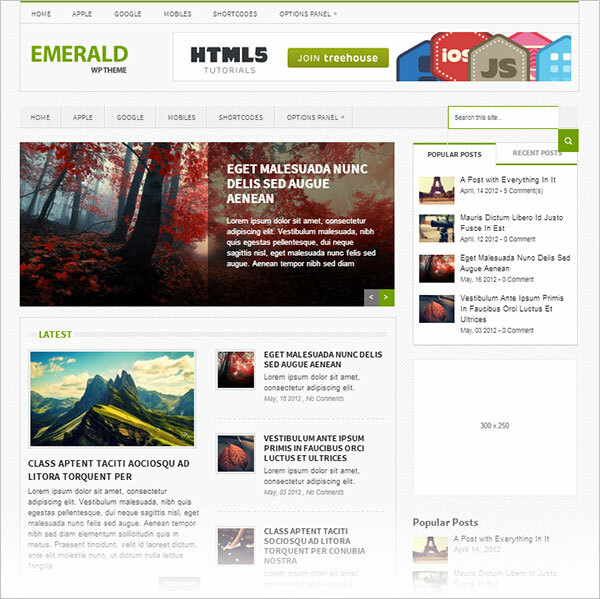 Emerald is a usual magazine WordPress theme that is built for professional bloggers. 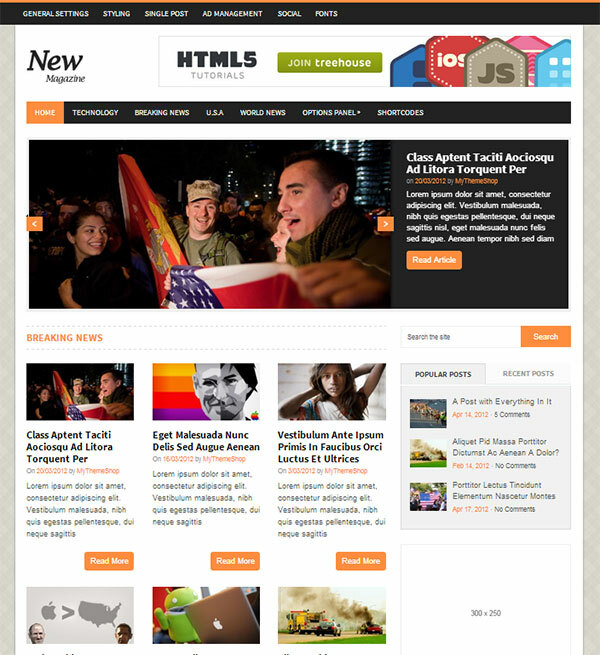 NewsMag is also the most used WordPress theme by pro-bloggers. It has a 3 column magazine layout with a sleek design and a touch of class. It is fully responsive and looks absolutely beautiful in all devices. 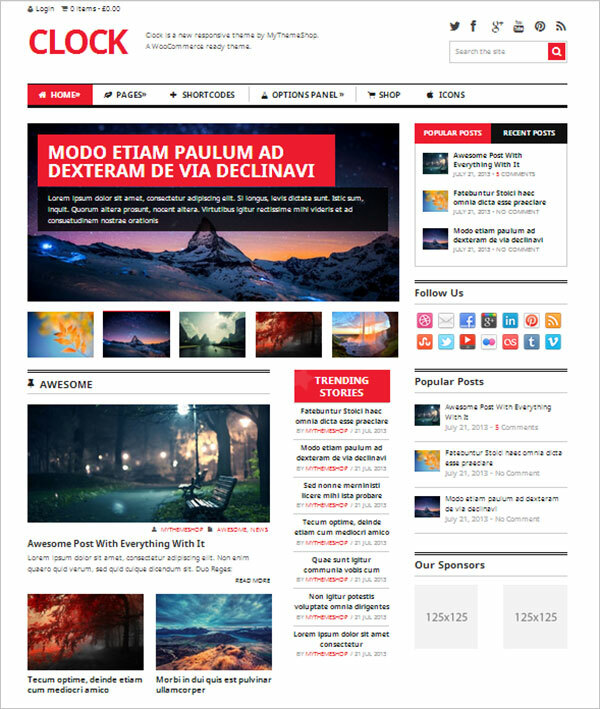 SoftPress is a beautiful responsive magazine WordPress theme. It is a must have theme for new bloggers. 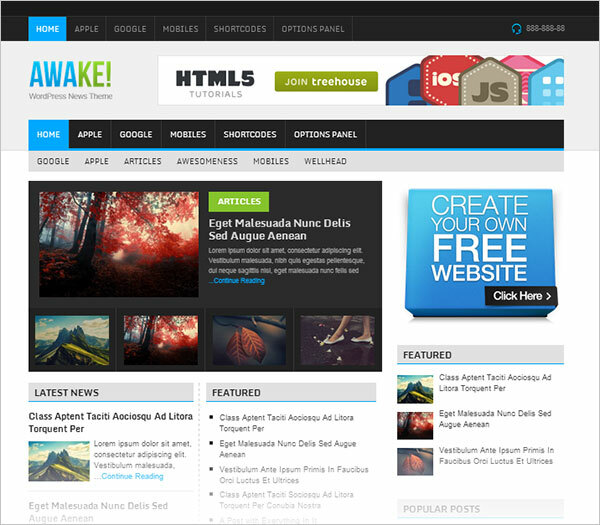 Awake wp responsive WordPress theme has tons of premium features and one of the most appreciated by many visitors. Vogue is a stylish and fashionable WordPress theme. It can be used for both business and blog purpose. 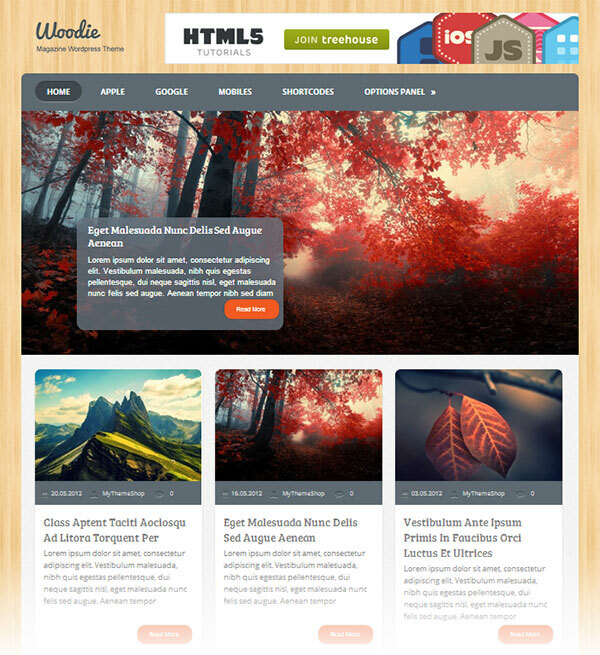 Woodie is a 3 column beautiful premium wordpress theme that can be applied on personal blog, digital magazine or corporate site. 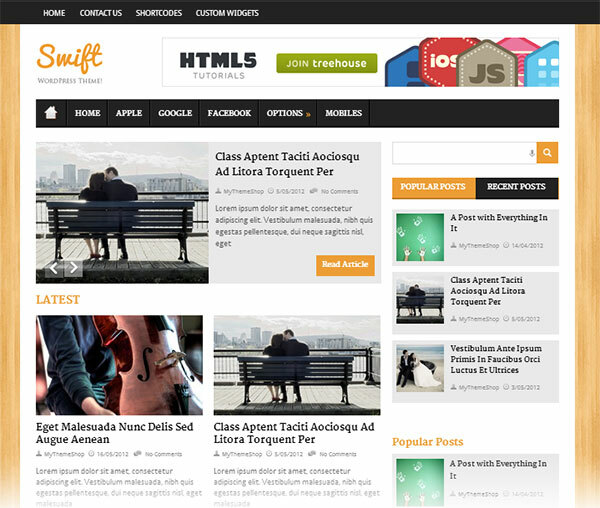 Swift wordpress theme is fully loaded with very easy to use premium features. It is optimized for best viewing on mobile and iPhone devices perfect for any blog or personal site. Digitalis is a beautiful minimalist multipurpose simple yet colorful WordPress theme with magazine, blog, and WooCommerce functionality. It can be used for portfolio or wallpaper blogs. 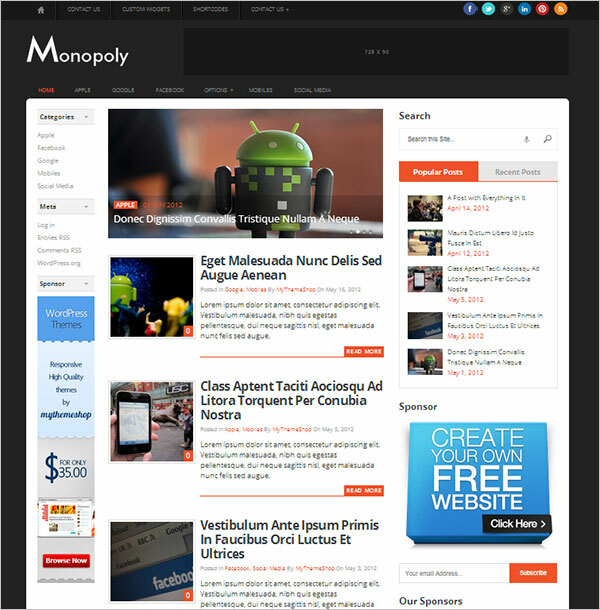 Monopoly is a simple sleek, dual-sidebar, 3 column premium WordPress theme that is perfect for any blog site, magazines or news portals. 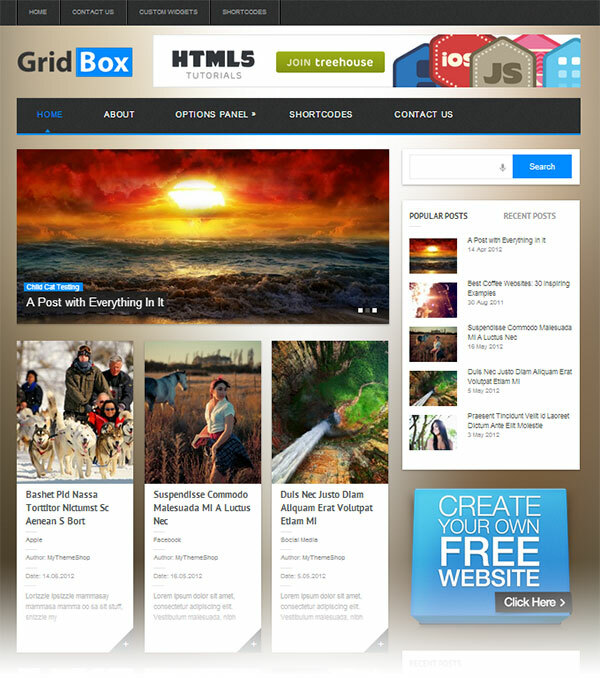 Gridbox is one of my personal favorite and highly recommended for all types of niche. It has a 3 column magazine layout with grid functionality and some classical jQuery effects that will keep your readers bedazzled. 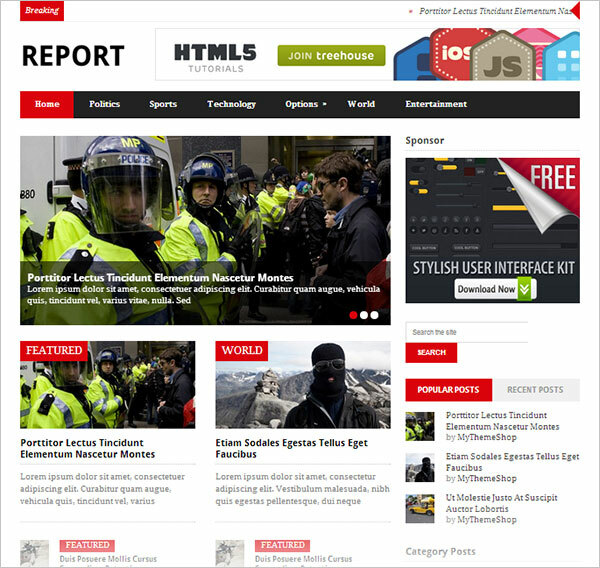 Report is one of the most appreciated magazine WordPress theme that has a dual column, news style layout with featured slider and a responsive structure. 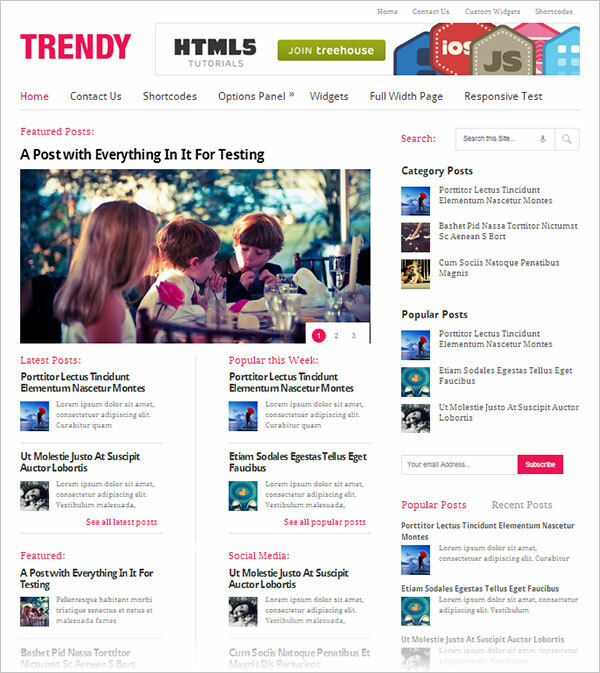 Trendy WordPress theme is multi-column with a featured slider and multiple post displays. It will surely double your visitors from its easy to read content ability. 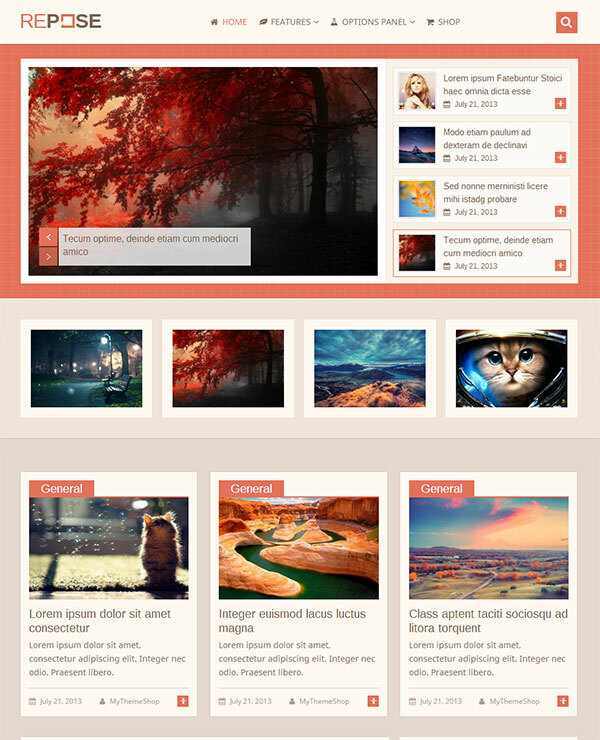 Metro style WordPress theme is one of my most favorite theme from mythemeshop. It has a very simple yet elegant layout with sense of elegance. It is inspired by the Windows Metro visual style that has been appreciated worldwide.